You need to take notes all the time. Whether it is a doctor’s appointment you do not want to forget, an important business meeting or the name of that new item you have seen and plan to buy soon, you need to write it down so you can remember later on. In this digital era, you may not always have paper and pen with you. What you are most likely to have at hand is your phone. If your phone is the Samsung Galaxy Note 9 then you are in luck. The screen off memo is the perfect solution for taking notes. 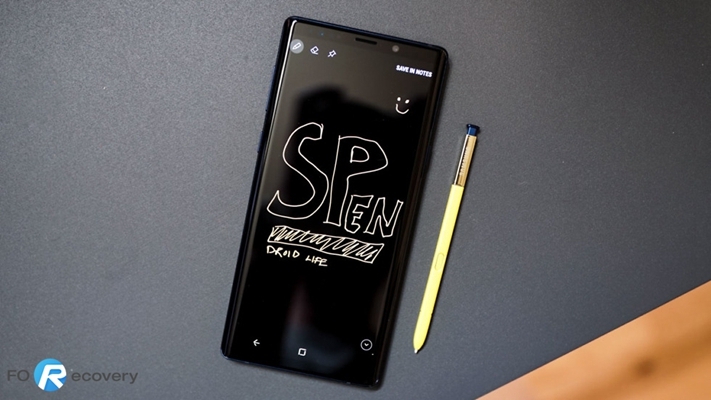 What is screen off memo and how to use it on Samsung Galaxy Note 9? 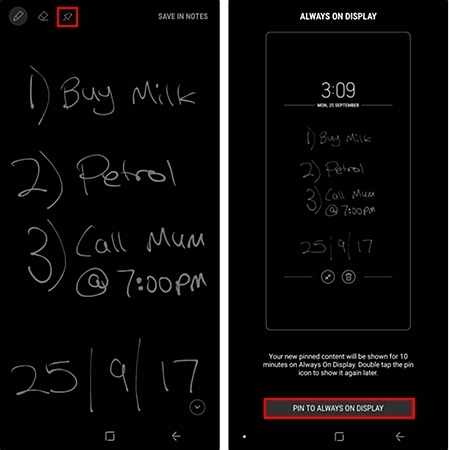 Screen off memo is a cool feature that allows Samsung Galaxy users to make notes on the phone’s screen even when it is locked. This is made possible by the Bluetooth-enabled S Pen the Note 9 comes with. The pen is used to write directly on the screen to make the notes which can then be saved and viewed later. You can also make notes using the pen even when the phone screen is on. 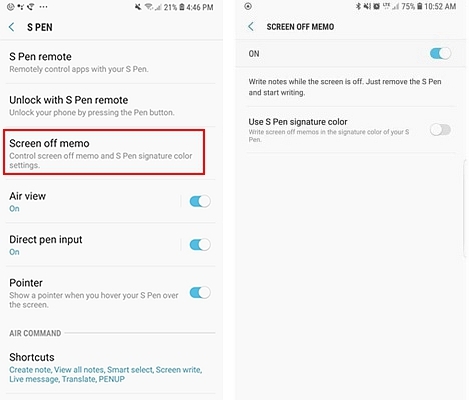 Here is more on how you can use the screen off memo on your Galaxy Note 9. It is very easy to create screen off memo but it is important that you know how to set it up. – move your finger from top to bottom of the screen to reveal the quick settings menu. – Tap on the settings icon and when the settings app is open tap on “Advanced feature”. – Tap on “S Pen” and then “Screen Off Memo”. Check that the status is “On”. If not, toggle to “On” and you can now use the screen off memo feature. With the screen off, remove the S pen and use it to tap on the screen. It will become black with the screen off memo open and you can write your note on it. If the S pen had been removed from the phone, press the button on the pen before tapping the screen. Your note can be as short or as long as you want. The downward facing arrow at the bottom of the screen can be used to move to the next page. You can write up to a whopping 100 pages! To save your note, use your S pen to tap on “Save in Notes” at the upper right corner of the screen. This note will be saved to your notes and you can view it later on. Saving to notes, takes the note to your notes app. While this is good for most notes, there are those that you need to act as reminders so you can take action within a few minutes or so. For instance, if you are leaving the office and need a reminder to pass by the grocery store, you will find the screen off memo in always display feature useful. This keeps the note on the screen for up to 30 minutes after it is created. To set screen off memo in always display, create the memo and then tap on the pin icon at the top left corner of the screen. This will pin the note to the screen. You can minimize it by double-tapping on the icon with two arrows facing each other. To maximize it, simply double tap on the icon below the clock on the left side. To delete the pinned note (like when done with the activity), double tap on the bin icon. It is not enough to create memos if you cannot view them later on. All the screen off memos you create are saved to your Samsung Notes app. 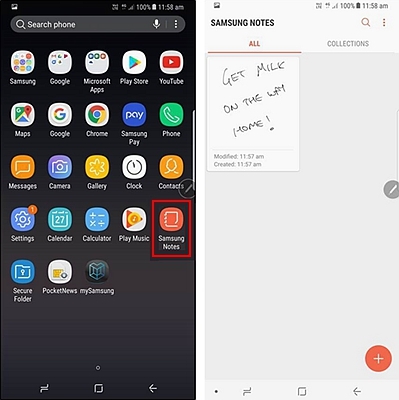 To open a memo you had saved, you need to unclock the screen and open the Samsung Notes app. When you open this app, you will see a list of your notes and you can select the one you want to open. You can then edit or share the note as you wish. In the more options icon, you can find options like delete, print, pin to home screen or even set a reminder. The screen off memo is a useful feature that all users of the Galaxy Note 9 will love having. Use it to create notes easily just like you would on a book. This is convenient and easy. Give it a try today and you will never need to carry a notebook again.